Hoppers with 2, 3 or 4 bays are used for different purposes: 2 bay hoppers are used for the most dense loads (such as sand), while 4 bay hoppers are more suited to lighter loads. This is due to axle load limits, for example dry cement is very heavy in bulk quantities and a 4-bay hopper of sand would be very likely to exceed these limits while also having problems with increased strain upon the central span. 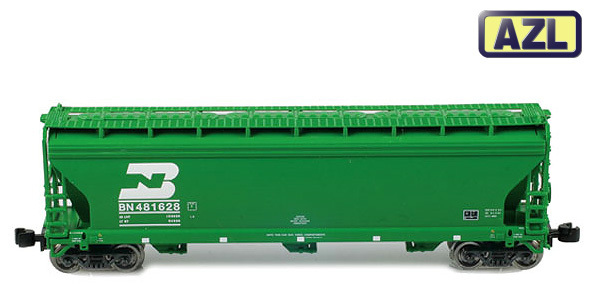 By trading off cubic capacity 2 bay hoppers are able to transport these heavy loads. As technology has advanced, some of the heavier loads formerly assigned to 2-bay hoppers have been assigned to larger, more efficient 3-bay hoppers.